SCOMO ROLLS OUT $2BN HIGH SPEED RAIL PROPOSAL | COMMUNITY ACTION ALLIANCE FOR NSW (CAAN): HOUSING INEQUALITY WITH AUSSIES LOCKED OUT! Through high immigration and VISA Manipulation! Is Scummo pulling a swifty on Victoria proposing a $2B contribution for a Melbourne to Geelong HSR to be matched by Victoria when the cost would be $10B? GREEN FIELDS AND BLUE SKY … Is Nick Cleary’s ambitious CLARA project the answer to Australia’s fast-rail question? CLARA sounds good but it has taken away from BZE. Clara is about “Value Capture” …. Prime minister Scott Morrison has thrown federal support behind two major fast rail proposals, committing $40 million in funding for five new business cases as part of its wider plan to connect Australia’s capitals to regional centres. High-speed trains would travel at speeds of up to 200km/hr, cutting the Melbourne to Geelong commute to just 32 minutes, while Brisbane to the Gold Coast would take just 35 minutes. At a press conference in Melbourne on Friday, the prime minister promised $2 billion in investment for the Geelong-Melbourne fast rail service. The Victorian government would need to match the $2 billion federal contribution for the project to be viable. Minister for Urban Infrastructure Alan Tudge joined the prime minister and treasurer Josh Frydenberg at the announcement on Friday, saying construction on the Geelong-Melbourne link could begin in as little as 18 months. 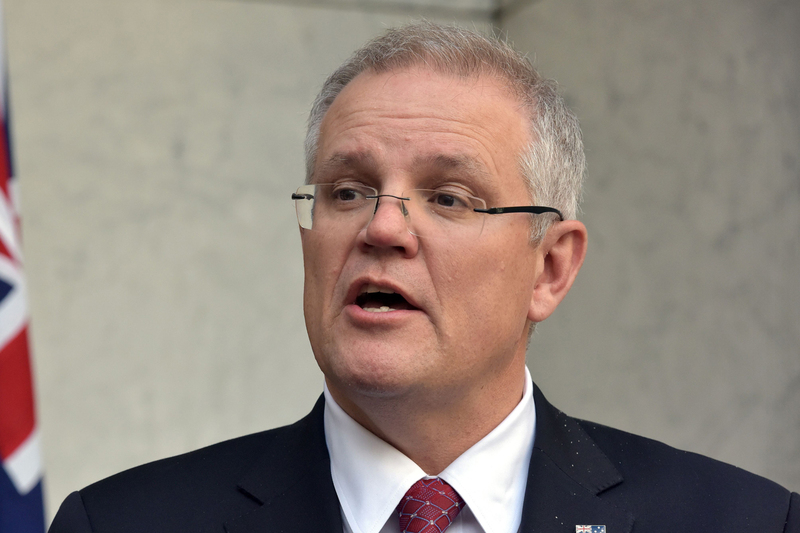 “This is all part of our plan to manage population growth [t]o take the pressure off our big cities like Melbourne and make our regional cities like Geelong even more attractive places to live and work,” prime minister Scott Morrison said. Victorian transport infrastructure minister Jacinta Allan said that the Geelong-Melbourne connection would cost at least $10 billion, much more than the $4 billion the government has estimated.Jacinta Allan MP / Twitter. The prime minister also flagged plans for a “congestion busting” Gold Coast to Brisbane link.Gold Coast-based federal member Karen Andrews said that a fast rail link will reduce commuter travel times and get people off the M1. “Easing the commute from the Gold Coast to Brisbane is something I’ve long fought for. High speed rail between Brisbane and the Sunshine Coast is already on the cards, with the Queensland project securing business case funding from the Turnbull government in early 2018. Among other fast rail election promises, shadow infrastructure minister Anthony Albanese pledged $2.8 billion in funding for a high-speed inland rail link from Melbourne to Brisbane. 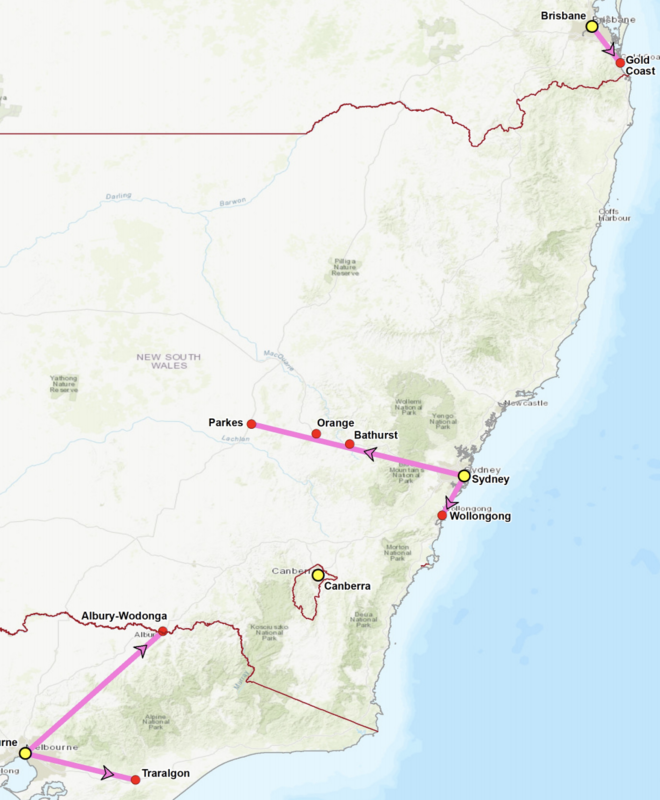 While the Berejiklian government identified at least four potential high-speed routes within 300 kilometres of Sydney in December. In its 2018 budget, the Andrews’ government announced $50 million of funding to develop a business case for the Geelong to Melbourne link. If elected, the Coalition said it will create a National Fast Rail Agency to guide the work and determine priorities for the construction and funding of the projects. The government committed to five fast rail business cases: Brisbane to Gold Coast; Melbourne to Albury Wodonga; Melbourne to Traralgon; Sydney to Wollongong and Sydney to Parkes.